Entec Si is a consultancy company with a difference. Originally created as an IT consultancy, it evolved with the changing market in the early 2000s to focus on delivering business change supported by technology. Entec Si has a unique way of operating, after realising that the real key to change is people and turned their focus towards constructing strong relationships with their clients. It is this vested interest in their clients that differentiates them from the rest of the consultancy market. 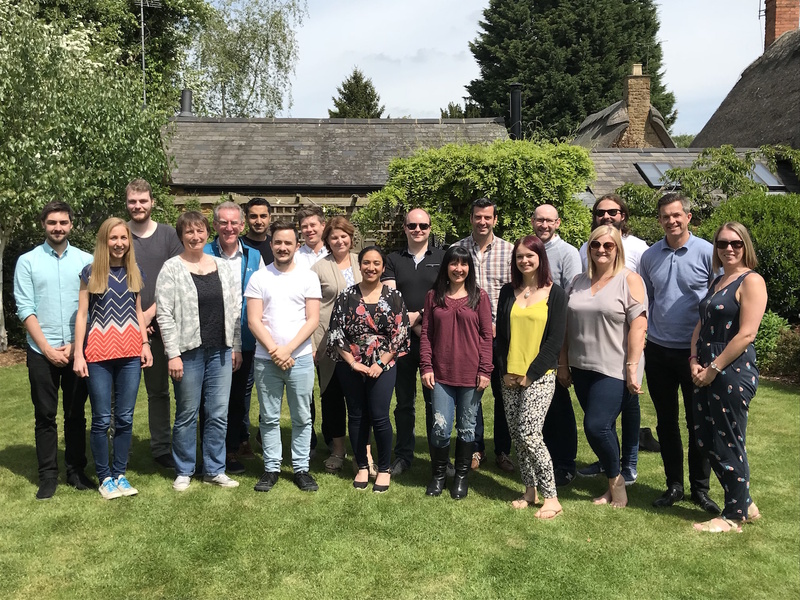 From building blended teams with their clients, to upskilling staff and fostering change, Entec Si has found the perfect balance between technology and people. In recent years, the consultancy has played a leading role in several landmark projects within the West Midlands, not least the reinvention of the Library of Birmingham. With the principle objective of designing and managing the transformation of the library’s ICT programme, Entec Si additionally introduced significant cultural change, ranging from innovation and process to people, ultimately enabling staff to work in a more flexible and efficient way. With projects spanning across the M40 and M1 corridors and an expanding portfolio of projects on the table, Entec Si was searching for an office solution to suit their flexible needs, and that’s where Alpha Works stepped in. The first thing that struck us about Alpha Works was the welcoming and well-presented space. Having a base that we are proud to bring clients into had never been possible in any of our previous workplaces and has opened so many new opportunities. Walking into Alpha Tower was like coming home, not only because so many of our projects have been in the area, but also as some members of our team had worked in the Alpha Tower building some 10 years before. As a consultancy that values collaboration and versatility, Alpha Works’ flexible approach has enabled us to encourage this way of working and accommodate additional employees when necessary. Plus, the incredible view of Birmingham made Alpha Works irresistible – being able to see two of our landmark projects, Birmingham International Airport and the Library of Birmingham from our office window is a great talking point! Beyond the unrivalled views and coffee on tap, Alpha Works also take customer care to the next level. Theresa and her team will always go the extra mile to answer queries or introduce you to like-minded members, plus the regular educational events on everything from Social Media to GDPR, demonstrates the community atmosphere at Alpha Works. As a consultancy already punching way above its weight, the aim is to continue to be a recognised name in the consultancy market. However, with attention to detail and happy teams being integral to Entec Si’s values, client relationships will always remain a priority.